Welcome to My Back Pew.. The best seat in God's House. The Back Pew was.. literally where I sat when I accepted Jesus into my heart in August 1963. 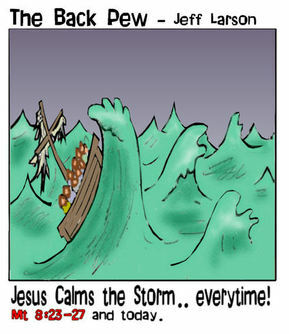 The Back Pew is.. now the collection of my faith, family, & christian cartoons & mutterings. 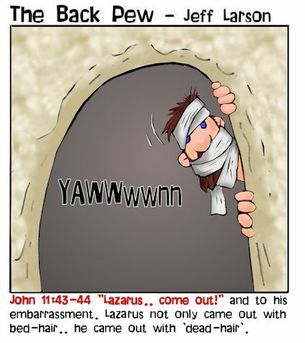 My prayer is that you find My Back Pew a source of Clean Humor & God's Truth. Join Jeff Larson on this hlarious look at being and living as a Christian. 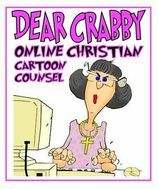 His comics will make you laugh as you read about angels eating devils-food-cake, marriage mishaps, pulpit blunders, and so much more. 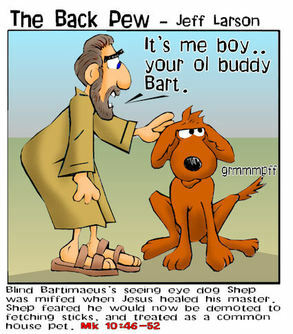 The Back Pew is your source for Clean Humor and God's Truth delivered through Christian cartoons from Christian Cartoonist and Humorist Jeff Larson.